The creation of a world-class dining experience starts in the kitchen. Our team of experienced chefs have a passion for traditional Southern cuisine and work hard to ensure you will always be impressed by the menu selections at Bleu Restaurant & Lounge. 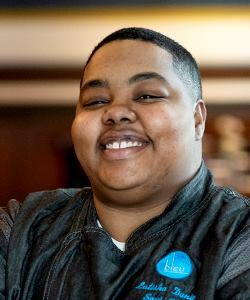 Leland became Executive Chef at Bleu Restaurant & Lounge in December 2018. 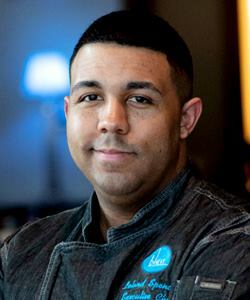 Prior to joining the team at Bleu, Leland worked as an Executive Chef for Marriott International. He graduated from the Cordon Bleu in Scottsdale, Arizona, and his culinary career began at the age of 20 as a Sous Chef for the Arizona Biltmore, A Waldorf Astoria Resort. Leland won first place at the State Pork Competition in Tulsa, Oklahoma, and has more than a decade of experience as a chef. Some of his favorite cuisines include Southern, Thai, Indian, Mediterranean, and Spanish. Tish graduated from L’École Culinaire School and has been cooking professionally for over six years. 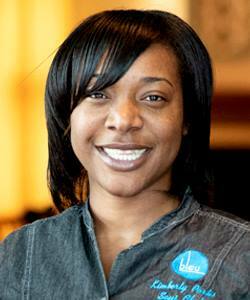 She is a native Memphian and brings her passion for cooking and fun to the kitchen at Bleu. She regularly contributes her culinary expertise to local fundraisers, including the St. Jude Golf Tournament and the Wine and Food Festival at the Botanical Gardens. Southern cooking is Tish’s specialty, and she is excited to continue learning and making new dishes for guests at Bleu. After graduating from Vatterott College with a degree in business, Kimberly found her passion in the hotel food service and beverage industry. She is from Grand Junction, Tennessee, and worked in the Memphis-area for several years before joining the team at Bleu. Kimberly has a passion for baking and donates decorated cakes to several annual fundraisers, including those for WKNO and Overton High School. Growing up in a small town, she learned many cooking skills from her mother and grandmother, and has perfected recipes for homemade biscuits, cookies, and butter rolls. Her favorite foods are fresh fruit and vegetables.